Stuart Skok is owner and principal of Stuart Skok Law LLC, licensed in Maryland and Washington D.C., with offices in Montgomery and Frederick Counties. She has practiced matrimonial law for over 20 years. She is certified in Collaborative Divorce and Divorce Mediation. She lectures on family law and published her Handbook on Separation & Divorce, Fourth Edition, available on her website. Stuart has been a Bar leader throughout her career. She was President of Collaborative Divorce Association, Inc. (CDA), President of the Montgomery County Women’s Bar Association (WBA), she twice served as Co-Chair of the Family Law Section for Montgomery County Bar Association, awarded Co-Chair of the year for both terms. She testified before the House Judiciary Committee on family law legislation. She was a Pupil and then Barrister with the Montgomery Inn of Court. She serves on the Peer Review Panel for the Attorney Grievance Commission of Maryland, and on the Board of the Collaborative Project of Maryland (CPM). She has received multiple awards. 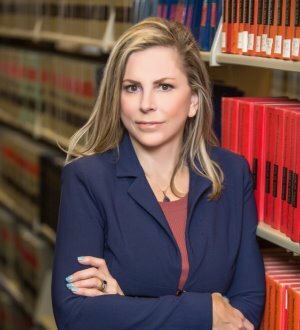 She is rated “AV Preeminent” by Martindale-Hubbel, the highest ranking for lawyers, and was awarded the Gold Client Champion Award in 2017 based on her client reviews. SuperLawyers has named her as a Top Lawyer for more than 10 years consecutively, including Top 25 Family Law Attorneys in Maryland and Top 50 Family Law Attorneys in Washington, D.C. Bethesda Magazine named her Top Family Law Attorney. Baltimore Magazine named her Top 50 Women Attorneys in Maryland and Top 100 Attorneys in Maryland. Washington Lawyer named her Top 50 Women Attorneys in Washington, D.C. Ten Leaders Cooperative named her Top Ten Leaders in Collaborative Divorce. The National Advocate Top 100 Lawyers named her Top 100 Matrimonial and Family Law Attorneys in Maryland. Marquis Whose Who awarded her the Albert Nelson Lifetime Achievement Award and listed her among their Top Professionals. Stuart was invited to be a Fellow in the Trial Lawyer Honorary Society by the Litigation Counsel of America, a selective organization composed of less than one-half of one percent of American Lawyers. In 2018, she was also invited to be a Lifetime Charter Member of the Best Attorneys of America, which is limited to 100 attorneys per state. In 2018, the American Bar Association (ABA) nominated her to be among its Lawyers of Distinction in the area of family law practice. BestLawyers has given her awards in three areas: Best Family Law Lawyers, Best Lawyers in America and Top 100 Lawyers in Maryland. The 2019 Best Lawyers-US News Best Law Firms ranked her firm, Stuart Skok Law LLC, as one of the Best Law Firms. Stuart has been featured in the press. She was featured by SuperLawyers Magazine in 2017 for her work with special needs children, having a special needs child herself. She was also, in January 2018, named "Attorney Of The Month" on the cover of Attorney at Law Magazine for the D.C. Metropolitan area, with a feature article on her life and law practice. She was featured by Lawyer Monthly Magazine in 2018 in their Expert Insight on Divorce and the High Net Worth Client.